Recently I met Adam Scanlon. Adam is a gamer, designer and father amongst many other things. What peaked my interest in what he was talking to me about was the way Adam was using gaming to assist his sons learning. His son has autism. As Adam explained to me that brings its own series of unique challenges. Children with autism often don’t learn in the same methods as we would associate traditional learners and therefore new ways of teaching and learning need to be investigated. As a commitment to finding these new innovative ways Adam has been using the game Disney Infinity. Let me give you a little background on Disney Infinity. It is essentially a sandbox game. 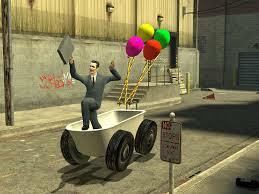 To me sandbox games are of great interest to education. Sandbox games are extremely open in nature and their lack of narrative is what set them apart from most other digital games. Most digital games operate in a linear fashion with a predetermined narrative, which the player must follow, and a set of ever more complicated tasks that the player must successfully complete in order to progress in the game. In contrast to this, sandbox games have no sense of progression, linear narrative or completion. Game play is entirely up to the creativity and imagination of the player/players. These games are providing a framework for the player to enter and then leaving it up to the individual’s creativity to do whatever they want. 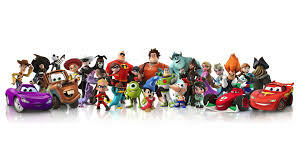 The genre include games like Minecraft and Gary’s Mod and to a certain extent Disney’s Infinity. When recently watching a collection of students playing Gary’s Mod they were collectively interacting and communicating with each other, they were building their own characters, they were inventing their own games within the game and more so they were inventing their own narrative within the games they were playing – that is narrative within narrative. This is an example of the game makers understanding this generation of learners and providing them with autonomy, the ability to be self-directed and beyond that providing them the ability to be highly web connected. These three concepts are important to our current western education system especially as it grapples with relevancy and what place technology plays. So back to Adam, why is he attracted to Disney Infinity and how does it help him teach his son? Firstly, as Adam explained, to work with children with autism you need to find the space they are interested in. It is highly unlikely they will come to the space you think they should be in. Adam’s son loves this game and will play it for hours. So rather than pull his son away from this environment, Adam went the other way and embraced it. How could he use the environment his son loves being in to help his son learn? Isn’t this a great lesson for all educators not just those working with special needs, where can you position yourself within the child’s life to give that child the best opportunity to hear you in the first place. As Disney Infinity is a sandbox game, Adam and his son can build there own universe in there, a universe of their collective imaginations that might replicate their current one or develop new ways of seeing the world. Children with autism need a lot of repetition to grasp certain concepts. Adam explained that to teach a certain task he would have to say it over and over. They require and demand routines and so to teach them a new one, potentially means a changing of an old one. This can be difficult and require a lot of repetition. Again, as Disney Infinity is a sandbox game Adam can now build games inside the game allowing his son to play them, enjoy them and potentially learn from them. A couple of very simple examples of the huge range that Adam provided me with might help give context for those unfamiliar with this type of game. To help “potty train” his son Adam built a puzzle game. The task of the game was to get the “brown object” to the toilet, at the end of the game. By playing the game over and over his son also was able to make the real life connections. This demonstrates a great way to instructionally teach something that is going to require a lot of repetition. The current process for going to a shopping center or supermarket requires Adam and his son to go up and down every single aisle every time they visit a supermarket even if they only need to quickly go in and buy one product. This is a routine Adam’s son knows and is comfortable with and to change this routine causes particular anxiety for Adam’s son, leading to a seemingly uncontrollable outburst of emotion. Adam’s solution, using the game, was to build a supermarket within his Disney Infinity universe, and once again build a task into the game that allowed for his son to enter the supermarket find the object and leave immediately. He is helping form a pattern or predisposition into his son teaching him new ways of doing things. For a long time there was the common misunderstanding that because children with autism weren’t communicating with you in the traditional sense they also were not listening. This is not necessarily so and technology has provided ways for this group to have a voice. Early discoveries came with typing; children who would not necessarily speak out their thoughts when taught to type found this medium an easier way to communicate in. Adam is interested in taking this concept further. If Disney Infinity is a space where his son feels comfortable and enjoys inhabiting potentially it can be a means for the two of them to also communicate in. One of Adams concerns for his son is a simple problem that most of us without this experience would not even consider. If his son has a toothache potentially he will never express this to Adam so how as a father will he handle this situation if he doesn’t even know it exists. While he is still only at early stages Adam is exploring ways through the game that his son might express these every day issues with him and others around him that see. This might be something that Adam agendas within the Disney Infinity game space or potentially, his son might find the means of using it to communicate in the way he wants to. While this piece talks specifically to children with autism the same principles apply to all classroom teaching or education in general. How can we turn the paradigm around from reductionist notions such as “teacher as expert” to “teacher as facilitator”? And if we are truly talking teacher as facilitator what do we want them to facilitate? All children exist as learners nested within their own constructions of identity. They bring their own experiences and mindsets into the classroom. Learning occurs within a complex interplay of biological, cultural and experiential histories. Learning always occurs within the complex systems of the individual, the social surrounds and the culture within which the individual exists. Knowledge is never isolated within that or separated from it. Rather it is deeply part of the web of interactions – it arises out of it, it is an emergent, evolving phenomenon. We can never teach the same content to each one in the same manner and expect it to have the same impact. Rather we should be getting to know our students, what are they interested in, what do they love and how do they best communicate. Then we need to adapt our methodologies to come to their worlds, not the other way around. Adam demonstrates wonderfully the powerful learning and connections that can take place when the paradigm is reversed using a technology that his child loves – a digital game. I would love to hear any of your stories, if you are willing to share them of experiences you might have had or seen in this area. This Friday and Saturday the DLTV Education Conference takes place. I have been fortunate enough to have played a role in its organisation and direction. I am a believer that the traditional conference format needs to update to actually reflect contemporary thinking regarding how we best learn. Self directed learning, network learning, self managed learning are all terms I have spoken of many times and they are all key to my work in attempting to bring transformation to our education system and assist in the natural evolutionary process of our system. These terms represent significant developments in understanding on the nature of knowledge and how we as humans best learn. They are also terms that have increased in generally usage within western education as the metaphor of the internet makes concepts such as “networked learning” something that is more tangible and readily understandable. Knowledge never resides in the individual it resides in relationships. Those relationships are what build up networks. That is where knowledge resides. It is a key point to understand that dramatically shines a light on many of the outdated practices we continue with in current schooling, practices such as lesson plans, teaching that is based in content or information transferal, learning that supposes an idea of linearity, adherence to top down developed curriculums, and almost all the hierarchical structures our entire system is built on, including teacher as expert, but also many other power structures seen within traditional schools and in our departments as a whole. Interestingly enough almost all education conferences also adhere to these traditional, somewhat tired structures. I am organising the Gaming in Education Stream at the DLTV conference and I thought I would try something different with this stream, something that actually represented my thinking about learning. Let me state again, knowledge does not reside in individuals, it resides in networks. The network will be open. When these are in place emergence arises. Emergence is a phenomenon that cannot be predicted by looking at any of the data that makes up the individual agents within the system. Emergence, in my mind, is another word for pure creativity – it arises from the system, NEVER from individuals. Emergence is new knowledge. Complexity thinking is the theory that has given rise to such terms as “self directed learning” and the phrase, “teacher as facilitator not teacher as expert”. So…how do you apply this to a conference. Well, we asked for people to submit expressions of ideas they were interested in presenting about and everyone who spoke somewhere in the region of Gaming in Education, we grouped together. That is an example of forming the initial network. Self organisation – I then decided to throw out the idea of structured session/timetables as that is an example of top down limiting hierarchy, I tried to put in into place as much openness as possible, I facilitated a number of potential internal communication devices with the group (video conferences, email, Google + etc) but while I facilitated, I never imposed any structures on the group. Furthermore, we were conscious and comfortable with the rule of order and disorder (the network must be sitting on the edge of chaos but never slip in) and then I watched what happen. I think this group has “self organised” in an amazing way. We have a number of participants that, in the normal conference style, would just have shown up and delivered there powerpoint presentation on the great work they had been doing at their schools. That is because the “normal conference” reflects a form of top down hierarchy – it has been predetermined and it almost forces the style of presentation. By removing this the participants in the Gaming in Education stream have now all met each other, discussed their ideas, changed, teamed up, evolved thinking, reorganised their presentations and are now are collectively presenting with others. They are aware that they are part of a system, not just individuals. They have actively participated and the system is creating new things – Emergence. There has been a general commitment to making our stream experiential so now every one is bringing things to ensure that all participates in our stream are immersed in an experience. In regards to the variety of games and learning about games, there is cross collaboration within the group. There will be games happening in the assigned rooms there will be immersive games happening throughout other stream spaces and infact there will be one large overarching game happening throughout the entire conference. If you are at this conference you will be involved whether you’re aware of it or not. There will be formal and informal talks, presentations and who knows maybe we might even get spontaneous and impromptu presentations by audience audience members (for use of a better term). This is also an example of the group wanting to allow the further participants in this new network – the conference audience – to also now be able to actively participate in the system, and enhance their learning and the learning of the group. We are all co-learners. Emergence – it is already in evidence through the way the collective presenters of this stream have come together and it will continue to evidence itself throughout the entirety of the conference as more and more participants actively get involved. Emergence is new knowledge. This is how we learn and develop. It is what I always speak of when talking about what learning actually is, it is key to the work I do assisting schools as they attempt to change themselves to better represent contemporary thinking and hopefully it will be represented in this small attempt to evolve the conference format. It will emerge because we have allowed for the above mentioned things including; self organisation, no hierarchical dominance, and an encouragement for active participation in knowledge construction. If nothing else its great fun!! A big thank you needs to go to all the amazing presenters/co-learners in this stream including Dan Donahoo, Jess McCulloch, Roxanne Ciddor, Michael Ha, John Pearce, Nathan Connors, Vincent Trundle, Sayraphim Lothian, Robert Reid form Popupplagrounds and Kalani Robinson. They have done all the collective learning so far. I just tried to allow for it to happen. Now it’s over to you, hope to see you there on Friday and Saturday. Is technology becoming an impediment to your lessons? My role as Head of PD at New Era has given me the opportunity to visit many schools around Australia and work with many of the key stakeholders in schools including students, teachers, leadership/administrators to parents. I have also had the opportunity to work across all the sectors. While each school is unique, having there own particular needs and cultural beliefs that drive their community, there are still some common similarities that can be found in all of them. Interestingly enough this is becoming more and more so considering the rapid globalisation of our world leading to obvious gentrification. My observations of almost all schools have identified some key issues when it comes to technology and the problems it creates as well as the changes it demands within classrooms. The first and most obvious issue is the reluctance of many educators to take it up in almost any form. In fact this is so prevalent that there are still significant amount of teachers who not only struggle but also refuse to participate in conversation via email. When facing this issue I show them a photo I recently took of my son. I have included it here with his permission. This was a photo taken in our lounge room and when properly deconstructed actually says a lot about the generation of students we are teaching and why so many of them might be disengaging from the type of learning that they are required to participate in during school hours and as part of homework assignments. If we look at the photo the first thing we notice is that he is on multiple devices – at the same time, but more than that he is on a variety of different devices with different operating systems. And he is using them with a sense of personal control – he is not using the TV to watch TV but rather it is merely a screen connecting to where he wants to connect. He is not particularly concerned about the type of device but is comfortable in switching, or even using them at the same time. In my opinion teaching the device is a wasted teaching session. 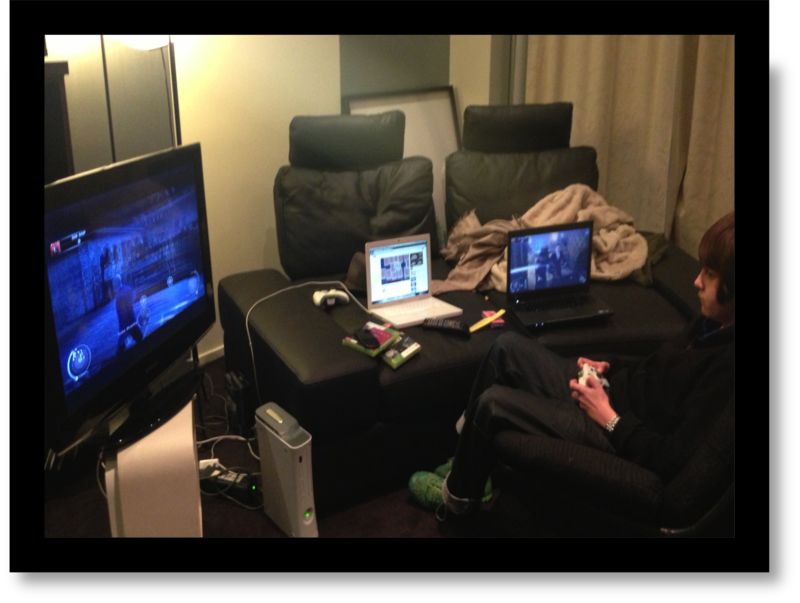 Secondly it needs to be noticed what he is actually doing with each device. The most interesting thing for me is that each device is connected to the Internet and each device is “pushing out”. He is looking to make connections with other humans. So often I hear teachers rebut the rapid encroachment of technology with the argument that it is taking away the human element. This would appear to be contradictory to the reality that in fact it is increasing the human element, it is just how we are connecting that is changing. My son is pushing out to “the network” with each device. One is via a Google Doc, one is via a game, his IPhone constantly connects to large networks through the browser or applications such as Kick, he has a pair of headphones on talking to multiple users, he might be connecting to networks via YouTube to learn more about things he is interested in. Not only does he have these devices pushing out to passively connect he is actually looking to become part of the conversation, share his own learning, find diversity of opinion. He creates his own Youtube channels around subject areas he is interested in, he writes blogs around things he is interested in, he uploads films and animations he has made to networks of kids also making films and animations in similar genres. Each of those connections is looking to connect with people to communicate, collaborate, ask questions, investigate and learn. He is in a constant state of learning in the new environments, which is made available to him via the Internet. If this isn’t represented in the schooling environments that our students attend then you can naturally see a confusion arising in the students leading to frustration, leading to a disconnection. If our students are merely required to read slabs of text on subjects such as Genghis Khan with no personal application and connection to the students actual life and then asked to answer the questions on their reading from the back of the book , how does that at all reflect the learning styles and environments that they are accustomed to working in in their “real” lives? How we connect, who we can connect to and how that can transform learning is a very interesting issue that needs to be closely iinvestigated by all of us as educators. When I talk about technology I am mainly talking about the internet because I think the internet is the most powerful metaphor we have to demonstrate that learning is social and is collectively done. It is not done in isolation and it is much more than one-way information transferal. Education has always been evolutionary, as we as humans are evolutionary constantly in a state of change. It is just that right now the evolutionary change is happening at such a fast pace that it is creating a natural sense of fear. Fear often leads to resentment and anger and a lashing out at the change agents. There is great fear in educators about technology. How can we reduce this and assist in this rapidly changing face of education to provide a more relevant environment for our students but also help current teachers to transform and still maintain a sence of identity and personal confidence. My answer is always place the technology change back in the place of learning and teaching – stop talking about the technology, stop PDing teachers up in endless software, stop “Skilling” them up and start allowing them to return to what the love – learning and teaching. It is a big statement but its deliberately big and deliberately provocative because the conversation needs to change. This also doesn’t mean that at some stage you wont need to “skill up” in a tool but isn’t that the lowest form of teaching – the part you should spend 5 minutes of your lesson on and then allow for deep inquiry. Do we really believe this? So lets look at a few simple pedagogical issues, which I believe are relevant to all learning and see where technology is changing the way we can approach them. Content – information transferral of content in my mind is not how learning occurs on any significant level. It is also the very start of our journey into the benefits of technology but it is at least it is a place to start. How did we deal with content in a time when we did not have the Internet? We found the content in books, or potentially in whatever information the teacher had, or maybe we would ask the other students in the class, potentially we would bring in an subject area expert once a term or we would go for an excursion. The Internet has opened this up in unfathomable ways. If all content resides online what are the advantages and potential pitfalls to deal with. Well, the content is more likely to be up to date, relevant, a greater and more diverse range of ideas and opinions are able to be accessed providing for a truer picture around subject areas. This allows for greater questioning and debate amongst the students themselves about the “trueness” of fact based reductive education. It allows for real time accessibility into content, thus not slowing the learning process – every time a child has a question and is forced to wait because they are solely relying on one teacher the learning is potentially slowing. The experts the child can now access are greater in number. Once again they are not waiting until the expert shows up at school but rather they can find the relevant experts relevant to wherever they are up to in their learning journey. This is hinting at more autonomy for the students themselves, they are self-directing their own learning. Feedback/Reflection/Visible Learning – Feedback has always been a key concept that assists in the learning process. Timely and relevant feedback is very important. Teachers practicing without technology reflect as best they can but the reflection potentially has limitations. Lets look at an example – the written essay. If a child presents work in essay form it is likely to be read by the teacher when he or she has time, marked and graded (providing reflection for the child). This takes time in a busy teachers life. Lets suppose the student receives the essay back in two weeks. Is this an example of timely feedback enabling the greatest possible learning? Perhaps not, Generally speaking the student is highly likely to have lost interest and the impact of the feedback will be lessoned. Further more this feedback is limited to the reflection of only one person – the teacher. Now that teacher might be extremely knowledgeable but they are still not going to be more knowledgeable than the group – or network. What if we opened up the feedback cycle and allowed for reflection/feedback by the network? This refers to visible learning provided by technology. Through tools such as WIKIS, Blogs, Nings, Google Apps etc. the students full learning cycle can be made visible to all, it becomes transparent. By doing this many people can now become involved with the students learning and actively participate in it by providing feedback (think back to how my son was attempting to learn through his YouTube channel.) Now the feedback can become instantaneous – upload something and spread the word and I’m sure you will get lots of comments. It can become more powerful because of the diversity of the feedback – the network is now providing it. Remember the power of the network is always greater than the individual. Beyond that it allows for the student to comment back – they are no longer merely passively receiving feedback, they can instantly reply with a question or even reply with a better explanation of what they might have been attempting in the first place. To often I have seen poor feedback provided by a singular teacher merely because of the pressure to provide it with the proper time allowed to fully understand the child motivation. Now once again the child is given some autonomy and is empowered to become more actively involved in the process of looking for appropriate feedback. This can can further the learning – the journey isn’t over once the essay has been handed in. In fact that child can take the feedback, learn, recreate and re upload in order to continue the learning process. Visible or transparent learning provided by the internet also allows for students to feedback into each others work – thus allowing them to find identity as a teacher themselves. This is a role that all humans actually participate in. It is only through our reductive labelling of teacher and student that we have deprived students of their natural state to participate in this experience of teaching. Now they will naturally take this back and participate because the tools (the internet) has allowed them a way back. It is empowering for a student to feedback into another students work and should totally be encouraged –it is the natural process of learning and teaching collectively as humans. This is were all the conversation around the changing titles and roles of teachers sits – from experts at the front to facilitators to what I like to call co-learners. The Internet is driving this realignment of roles because as I have said previously it is a great metaphor for “social learning” – how we have always learnt best as humans. It is breaking down the hierarchical structures we have imposed on reality through the labelling of the participants as teachers and students. This top down hierarchy reflects nothing of the true process of learning. There are many more interesting pedagogical issues to think about when talking about technology that I am convinced will make it far more interesting to educators than merely teaching them another “tool” or another piece of software. By doing so it enables them to return to the conversation, it removes the fear, it removes the power from the IT guy and it will help us continue to evolve our practice and systems to be one that totally engages students in how they learn, totally empowers them to take ownership of their learning journey and totally frees them to love learning. Pedagogy – the art and science of teaching, the method and practice of teaching, an understanding of how humans learn best. This is what educators are interested in. What has ICT got to do with that. For too long ICT has been sold to us as an essential with little linking to why. How does it make us learn better? How does it relate to pedagogy? When we talk about ICT we need to move beyond the tools. I get sick of hearing one presentation after the other espousing the latest greatest, shrunk down, sped up, oversized, undersized piece of plastic that supposedly will change education forever. It won’t. Education has never been about what pencils you have in your pencil case it is about people – it is about understanding how we learn. I also get tired of hearing that ICT will make your lessons more engaging – it wont – I’m sure they are already engaging and teachers all know that shiny bells in the corner only maintain engagement for a short time – what are you going to do then? So why talk about ICT at all? The reason is that the way we learn as humans has fundamentally changed because of the digital world and as educators we need to be aware of that. Lets quickly look at some of the more exciting current thinking about learning. Social Learning – For too long in western education there has been the over emphasis on the individual. We see children coming to us as empty vessels that need to be filled by us with whatever information (content) we think is important. This learning is done independent of others. Rather knowing (or knowledge) is about who you are, what you are doing and it unfolds within a social environment – never independent from it. ICT allows for connections, communities of practice and social learning to occur like never before. How are schools prepared to deal with Social Networks (Facebook, Twitter etc) and utilise them for a new approach to learning? Constructivisim / Experiential Learning – This is not a new theory, its been around for over 100 years, but still many schools regard it as radical. We learn best through experience. The worst way to teach is to stand at the front of the class pass on “content” in a lecture style. If you think you can hold more information than the internet well keep teaching this way – if not lets find new ways. This is not to say that explicit skills based teaching is not at times necessary. But the internet holds many repositories of content and millions of examples of good explicit teaching. For example see the Khan Academy, or just type your question into Google or ask Youtube and someone will have uploaded a video teaching you how to do it. If it is a simple explicit fact that needs to be “learnt” in order to achieve a greater purpose, point the student to a place where they can find it (or better still teach them the strategy to do it so you never have to point them again). This frees you up to provide far deeper experiences for your students to learn. Gaming is one great way to develop experiential learning. Digital games such as Sim City or Civilisation or a host of others can be used to give the students the experience previously unavailable to them. For example in SIM city they experience being a Mayor with all the responsibilities and consequences involved with decisions made. Use it to teach ai Civics and Government Unit. The axiom of experiential learning is “I can teach you about swimming or I can let you go for a swim.” Which one is is the most powerful learning experience. ICT now provides us with potential experiences previously unavailable. Connectivism – this is a relatively new theory that is entirely relevant to the digital age and in particular, the Internet. It claims that all knowledge is now residing in the online networks. Moving on from experiential learning, Connectivism claims that the world is now moving so fast that we can no longer experience all the things we need to in order to keep up. I’m sure we can all relate to this feeling. Since we cannot experience everything, other people’s experiences, and hence other people, become the surrogate for knowledge. “I store my knowledge in my friends” is an axiom for collecting knowledge through collecting people. This theory is very relevant for the why and how we would use ICT. You can see evidence for it in Social Media, the use of Nings, Wikis, Blogs and many other devices that help students connect to whatever networks they need to to assist their learning. It is our job as educators to encourage participation in these networks. That includes publishing work, expressing opinions, asking the network questions, commenting, tagging information and sharing it to a networked group such as Diigo and so on. Active participation is the key. This is what makes ICT so exciting, no longer are students locked in to the reductionist methods of closed classroom doors. Rather there is a whole diverse world to navigate, to collaborate with, to co-create with to learn how to communicate with. Use whatever tool you want but keep this deeper principles in mind. Evidence of Emergent Phenomena in the Minecraft project. Complexity Theory – the science of all sciences. It is a theory that has been used (amongst many other things) to study the stock markets and traffic conditions in an attempt to try to explain stock market crashes or traffic jams. Complexity theory states that when you have a complex system a thing called emergent phenomenon will appear (or emerge). A complex system can be defined as a collection of interacting objects competing for a limited resource. As the phenomenon is emergent it has not been predicted or planned for, it is generally surprising and can be extreme.The precise nature of the phenomena depends on how the individuals objects in the system interact and how interconnected the are. One thing observed in this new science is that the behaviour of the objects involved in the complex system is greatly effected by feedback and they can adapt their strategies dependent on their history (through memory). One final and interesting point is that a complex system always shows a complicated mix of ordered and disordered behaviour. I love this theory for it’s slap in the face to nonsense that is the traditional reductionist approaches to understanding the world. In our Minecraft project (which I spoke of in my last post) we have 140 students building a new world in a MMOGing (Massive Multiplayer Online Game). They are all in there building at the same time. I would describe this a complex system and the observance of the emergent phenomenon has been eye opening. For example the children demanded that districts were forms in order to maintain some sense of organisation on the new planet. This was never planned for or expected. Those districts have taken responsibility for the tasks that they see as important to survive on this planet eg the technology district has seen the need to create energy to power the planet. This has lead to confrontation as some students wanted to develop nuclear energy while others wanted to go down the wind farm, green energy rout. To overcome this confrontation both sides have done extensive scientific research into their relevant areas. This research has led to some students changing their minds, others sticking to their guns but solutions have been achieved. The teachers involved were suddenly required to assist in new scientific study far beyond what they had originally predicted – we are now assisting in the learning about desalination plants, the use of methane as a source of energy, how is nuclear energy actually created and so on. For this style of learning and teaching to be successful it requires teachers that are very adaptive, open to new learning, operating as facilitators and able to drop their own egos and needs for power. In an ideal world all teachers would have these fundamental skills. There are literally hundreds of other examples of emergent phenominum being driven by the group which I will report on over the next few weeks. Now lets talk about one of the other points I Mentioned earlier and have blogged about previously – feedback. All of the students research and work has been reported in a wiki space. I find this to be an extremely effective feedback mechanism for our COMPLEX SYSTEM. Every child can see every other child’s work and ideas, they can take ideas from others they can input into other students pages, they can survey the citizens when needed, they can communicate effectively – they provide powerful feedback to each other and the network drives itself to deeper learning. I have been thinking a lot about the type of reflection we ask our students to do and why we do it. In context of attempting to create an educational culture that’s enables and fosters creativity, reflection is an important tool. At the moment when our students reflect on their learning it is in a journal form, mainly written in a book. This has obvious limitations. The most noticeable one is that the only people that will see this reflection are the child who has written it and (maybe) the teacher. We are attempting to create an environment where each child is inundated with as many ideas as possible. Creativity is often born from the individual’s ability to take two or three disparate ideas, join them together in a way no one else can see and by doing so create a brand new idea. If a child is not constantly accessing different ideas then the opportunity to do this is limited. If only using the reflection model of a journal in a book, spoken of previously, as only 2 people will be inputting into the reflection, there is the potential that neither the child nor the teacher has any good ideas what so ever and therefore that creative process becomes limited. I have been working with Richard Olsen from Ideas Lab on this matter and together we have been experimenting with a reflection template built in a Buddy Press platform.This emulates a social network eg Facebook which allows for a flow of ideas, plus other things such as peer to peer learning. 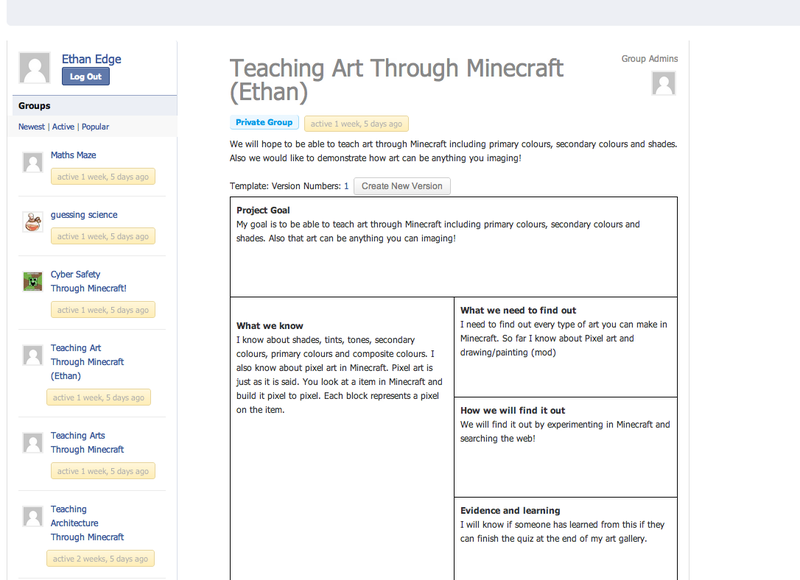 At the moment I am using this template in a project I am working on (alongside Kristen Swenson) using the game Minecraft. The students driving question for this project was “can you teach an area of our schools curriculum through the game Minecraft” (yes – they were doing some research for me). When it come time to reflect they login to their template where they have all created their own profile and they fill in a fairly simple form. The power of this system is that as it operates as a social network each child can go to any other students reflection, read it and leave a comment with some advice, something they had noticed, some encouragement etc. Furthermore all of the groups that are forming up around the project question are listed down the left hand side. Each student can go and look at the other projects reflection and read, comment etc. At any stage a student is able to leave their own project and join another group if they realise that it is more suited to them or they have more to add in that project than their current one. A number of students have done exactly that over the term strengthening the new projects they have joined as well as inspiring their own creative thinking by having an influx of new ideas coming at them all the time. As the teacher at no stage have I had to limit the students by my own lack of knowledge. This reflective template also draws ideas from the iterative reflective cycle used by software developers using the Agile Methodology as their base. The more I contemplated this project the more I started to think of the Agile methodology to project development, specifically it’s non linear approach and wondered if it could have any benefits to this particular project. I started by contemplating the notion that if you value a solution over an objective you are compromising potential and creativity. If you already have a solution or answer eg you will make a a chair you have removed the creative process and they will come with a preconceived idea of what a chair is. Instead maybe the project could have been worded as “we want to make this communal space more comfortable, go for it kids”. This would allow for a much wider area of potential for creativity. It hands over power to the students, it broadens it, it opens up collaboration, it avoids the sheep effect – everyone copying the best chair, and you will potentially still get a couple of chairs out it. The key is to always go for the higher-level objective, the bigger picture , have I presented a project opportunity to the students that has the widest possible opportunities or have I already given them an answer – a chair. At your next birthday you get given an Iron Man and you decide you would actually like to put him in number two on your wall list but that list has been locked down in texta. Your only option is to rip the project down and start again. You should put out the idea and start zooming out, broaden your question broaden your question broaden your question until you potentially might get to a place where you cant even see the question anymore, it dissolves. Instead you have a very high level guiding objective (is that the right word). That potentially could create a very messy project but thats OK. The zooming out can be very hard to do because we are often blinded by the first answer that raises its head at the first layer of zooming. My objective is to get a twitter site – No thats not the objective its the solution. My objective is perhaps I am wanting to build a network, is this even an objective or should you ask why do I want to build a network? To impart knowledge, to learn, or maybe I want to get more people to visit my blog etc etc etc. Well twitter might be one way but potentially if creativity sneaks in, there might be many better unthought of ways. If you already know the answer you have limited creativity and potential for a very interesting project/learning.